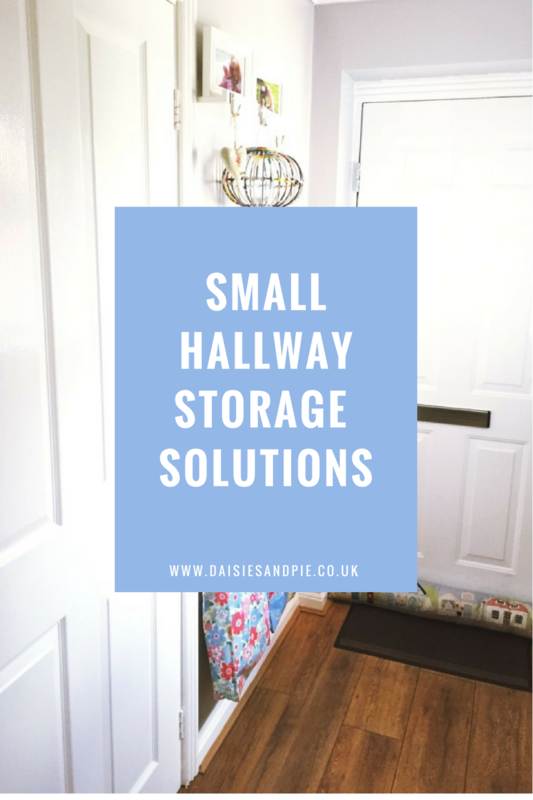 It can be difficult squeezing storage into a small hallway but where there is a will there is always a way! Even though the space is tiny we’ve managed to squeeze in storage for shoes and neat little shelves with room for some of our favourite photographs and bits and pieces. Here’s our easy makeover tips and how to get the look. Position a row of coat hooks low down on the wall. Use large pretty bags to hold shoes and hang them from the hooks. These bags are by Cath Kidston but they are preloved inexpensive bargains picked up in charity shops and on eBay. Use narrow picture shelves higher up the wall and attach hooks to them – that way you achieve a place to display photographs or pictures as well as somewhere to hang up bits and pieces. The coat hooks and pictures shelves came from IKEA. I love these modular pieces – so easy to mix and match and build up more length should you have the space.